Are you having a problem with a law firm/client relationship? Are you unsure of the best way to resolve it? The National List takes pride in having a reputable network of debt collection law firms and in working with industry professionals nationwide. Still, our clients and our law firm members are not immune to problems. When unresolved matters do arise, The National List facilitates communication between our clients and our collection attorney members. We work with both parties to come to a satisfactory agreement. NL can and should be your first line of defense. The most frequent complaints we receive are due to a lack of communication. Many complaints stem from lawyers or clients not returning phone calls, emails or letters. Most complaints involve clients requesting our assistance in obtaining a status report on open files. In these instances, we contact the law firm and request that they promptly send a report to the client, also asking them to cc: NL so we know when we can close this complaint. Communication problems can go both ways. We follow up until we have confirmation that communication has been restored. These matters are usually resolved within a day or two. There have been cases where a lawyer makes a mistake or acts dishonestly. These complicated matters sometimes require additional resources. For example, if a law firm’s mistake or misconduct results in a financial loss for the client, the client may expect the law firm to compensate them for the loss. In most cases, the client and lawyer are able to come to a settlement agreement, with NL acting as a facilitator. In some cases, matters are escalated to the local state bar association or to the law firm’s malpractice carrier. The National List of Attorney’s can assist you in gathering malpractice insurance documentation from the law firms you employ under our Compliance Program. For more information, contact our Compliance Administrator, Katie Stromstad, at kstromstad@nationallist.com. Another complaint we take very seriously is a lawyer who does not remit by the required deadline. Most clients require law firms to remit any monies collected every 30 days. 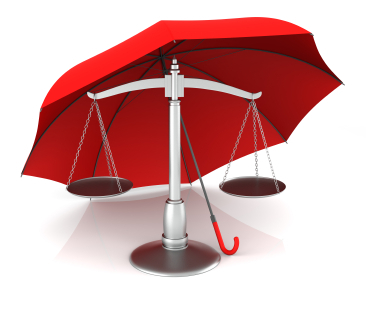 Some clients require law firms to remit weekly and some even require law firms to remit daily! It is important to detail your remitting requirements in your legal forwarding agreement. In most cases, these incidents are an oversight or a misunderstanding. But if there is proof that a law firm has fraudulently held remittances, they will be removed from our list. The National List of Attorneys insures claims properly registered with NL against theft of funds for up to $3.5 million. The terms and conditions are listed here. To file a claim with NL, contact us at 800.227.1675 for instructions. Terminating your relationship with a law firm that is servicing contingency fee collection matters for your company can be difficult. In some situations, the split is a mutual decision, and the law firm returns all files. The NL can help to ensure that you have substitute counsel in place willing to accept your files, before you pull them, and can help you follow proper protocol with all claims. It’s important to know that lawyers can file attorney liens on judgments for his or her compensation. Therefore, you may not be able to pull judgment accounts from the law firm without compensating the lawyer. In the event the lawyer is not adhering to your contract, and he or she has judgment files, it is a good idea to consult with the local state bar association. To recap, your first line of defense should always be The National List of Attorneys. Our personalized customer service sets us apart from other referral organizations. The local state bar association and the law firm’s malpractice carrier are other possible resources when you have a problem with a law firm that you cannot resolve on your own. ‹ Have you mastered The Art of Professional Communication?